This is the time of year I find myself drying herbs. 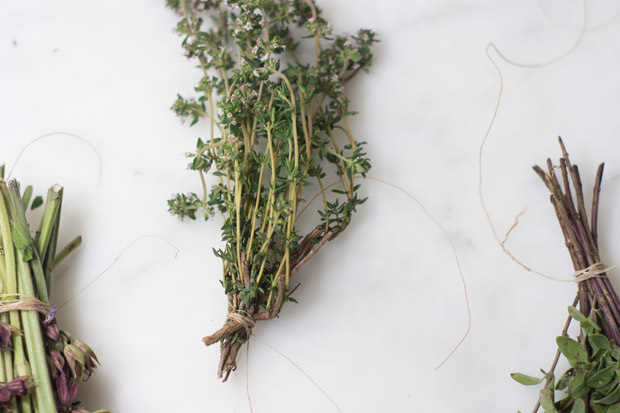 In part, it's because I tend to come across special, unusual varietals in the spring and late into summer - caraway thyme, pineapple sage, fresh coriander. Some will appear for a week or two, then aren't seen again for another year. 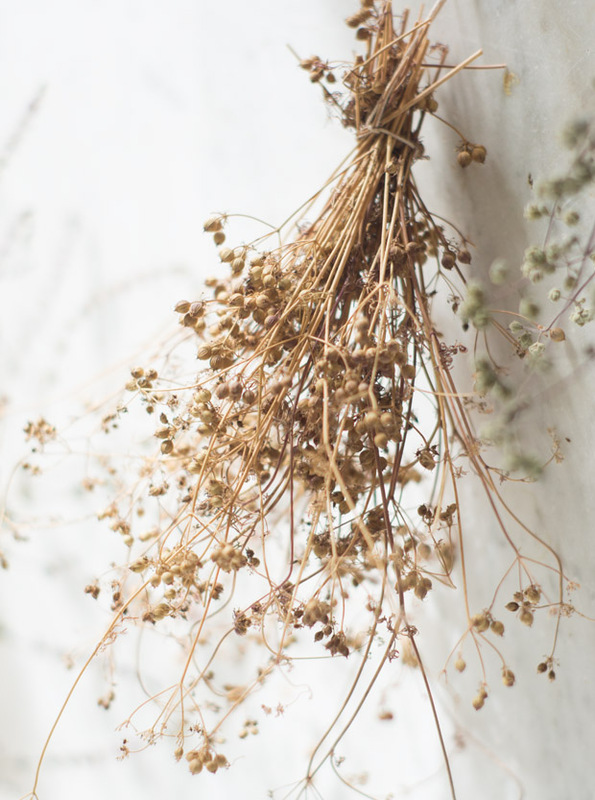 Other times, it is the herb flowers that get me - I like to use them throughout the year, and the one way to guarantee a supply is to dry them. It couldn't be simpler, so I thought I'd share my method for those of you who may have missed it the last time I wrote about it. I tend to group any herbs I'm going to dry into small bunches. Leaves are stripped from the bottom few inches of each stem, and a bit of twine secures each bundle. 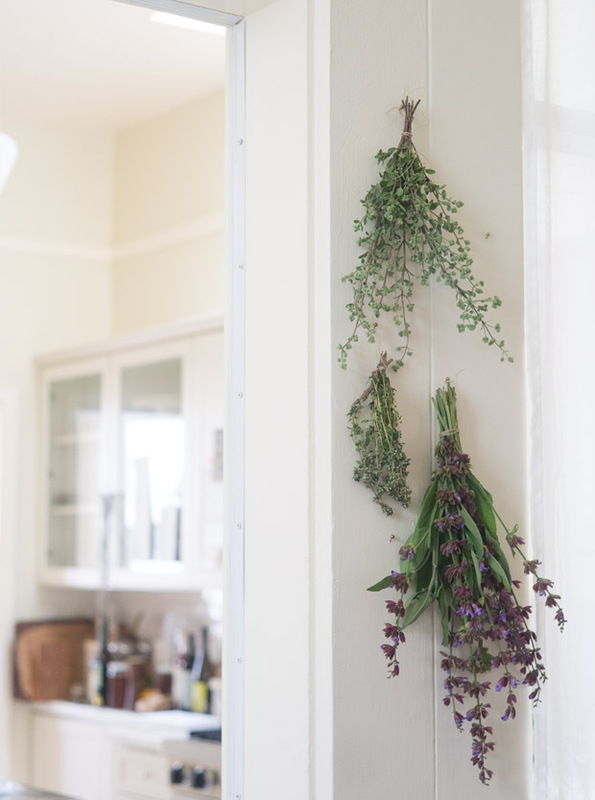 A push pin or strip of washi tape is typically enough to secure the herbs anywhere high and dry - walls, bookcases, fireplace mantles, cabinet knobs, and the like are all fair game around here. 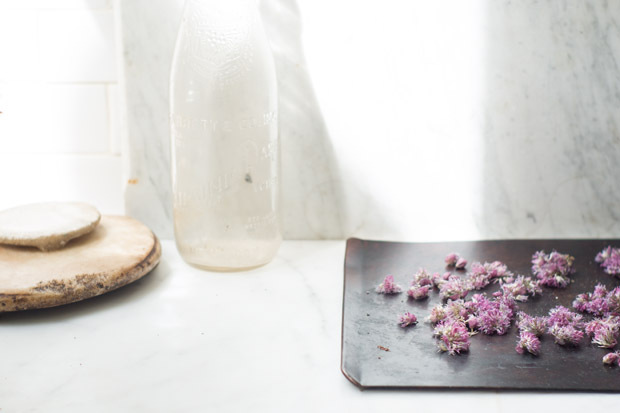 To dry chive flowers, you'll want to trim them from their stems and place on a flat surface for a week or so. Toss every couple of days so that all sides are exposed to air. 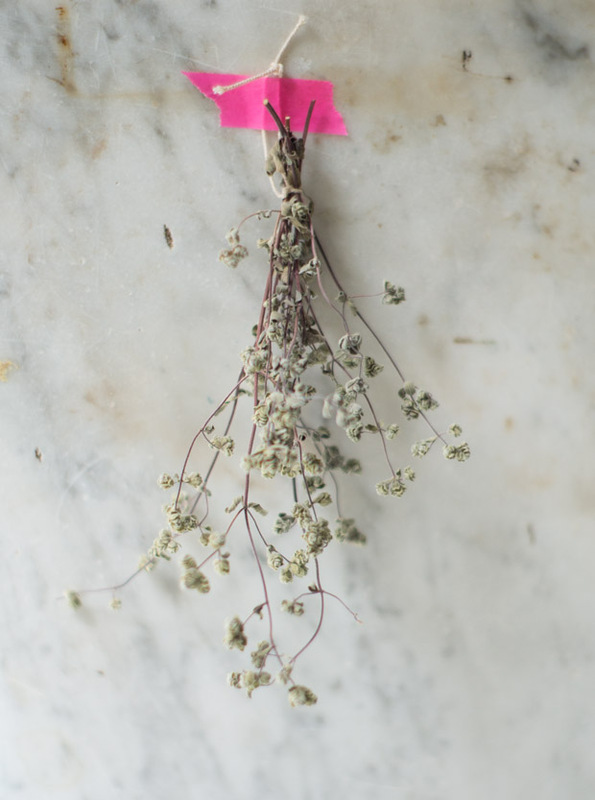 Be sure your herbs are completely dried before transferring them to a sealed container. Any moisture can result in mold. Also, after a few days of drying, your herb bundles will contract a bit from dehydration. You may need to tighten the twine a bit. Let me know if you have favorite herbs I should try to seek out. I love the offbeat, slightly unexpected thymes, sages, and lavenders. I'm sure there there are others I should know about as well! I'm posting this spring roll recipe from Morocco, they were much needed for the flight over. Rice paper wrappers with brown rice, tofu, avocado, chopped hazelnuts, and a slather of intense oregano sauce. Plus a few snapshots of the trip so far. Tiny socca-inspired pancakes made with buttermilk or keffir - golden, tender, and cooked in cold-pressed spicy mustard oil. Flat out delicious.